Bad Science is an engaging and inspirational book. I would recommend this excellent assault on modern ‘science’ to anyone with an interest in research and the pursuit of knowledge within the scientific discipline. In this book, the author systematically analyses, and often criticises, the current state of “science” as it is presented to the masses, which I thoroughly enjoyed as it helped dispel many common myths around things such as alternative therapies and the MMR vaccination scandal. However, my favourite chapter was on the fascinating phenomena known as the placebo effect. I found this to be awe-inspiring as it seemed to prove, without much doubt, just how much of an overwhelming impact the mind can have over the body: the brain over basic biology so to speak. Obviously, as a psychologist, this particularly intrigued me but there is enough generalization here to other fields, such as medicine, to engage and interest a wide range of budding scientists. Furthermore, it was not only the content of this book that gripped me but also the format, use of language and, on occasion, humour. As academic books are often criticised for being a little dense, I feel that this short volume acted as a very nice introduction to the world of science as it attempts to remain light-hearted and engaging in face of some of the very serious issues it deals with. Moreover, the use of pragmatic and simple language to explain even the most complex of phenomena ensures this book is perfect for anyone who is interested with the subject at hand but has little to no prior experience of academia. Also any specific terminology is explained in full to avoid confusion and widen one’s vocabulary. I found this book particularly useful as it helped me to look beneath the surface of research and come to terms with the fact that very little is as it appears. I think this inspired me to study psychology at university even more as I wanted to be able to analyse studies for myself so that I could make my own opinions about what these studies actually meant and not simply trust other people’s interpretations of the findings. I also found the conclusion genuinely inspiring and was left wanting to pursue a career in the sciences as I realised I could potentially go on to help educate many more like myself. In conclusion, I would highly recommend this book to anyone and believe that it would make a brilliant starting point for any keen student who wishes to engage further with the world of science which, as Goldacre points out, is not as complex and intangible as the media may have you believe. With a witty tone and rousing conclusion this book should be enough to convince anyone that the vices of science can and ought to be outweighed by the knowledge and exuberance of a new generation of academics (i.e. you). When I came to Univ for the first time during an Open Day, I was lucky enough to be given a tour by a psychology student. She recommended that I read Ben Goldacre’s Bad Science, as it provided a great introduction to research methods, specifically distinguishing badly conducted studies from good ones. I can testify to the fact that this was good advice! As the title suggests, this book is about “bad science” – the misuse of science by journalists, quacks, and big pharmaceutical companies. It goes through examples of where science goes wrong: for instance, the media snapping up the results of some badly carried-out study, amplifying them to a ridiculous degree, and causing general hysteria in its readers, who were led to believe something that just wasn’t true. He also explains how cosmetics companies give creams scientific names to make them seem like they work more, walks us through the placebo effect and its consequences for the effectiveness of homeopathy, and debunks fad diets with their focus on eliminating ‘toxins’. He does so in an entertaining and satirical way, but the content is actually really detailed. Apart from being an eye-opener for how little of popular science is actually true, I found this book extremely useful both for my interview and during my first year at Oxford. 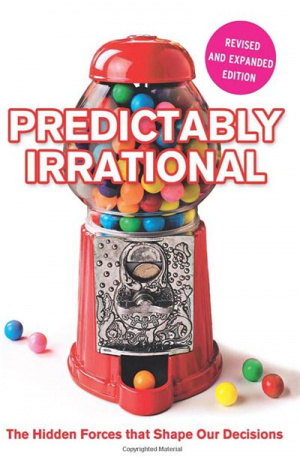 By showing studies which don’t use rigorous methods, and the consequences this can have, Goldacre tells us how a proper scientific study should be carried out, and what pits we need to avoid falling into. When reading psychology papers for my essays now, I have some idea of what a “bad” paper looks like, and what a “good” one looks like, so I can differentiate between the two. It was also really useful to just get used to the terminology scientific papers use, without having to go and read loads of papers myself. 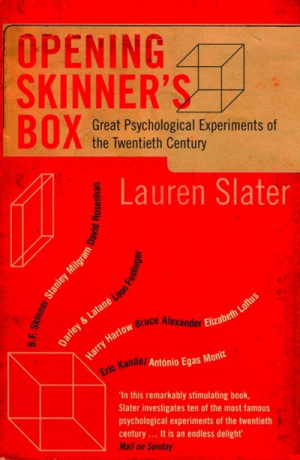 I’d recommend (and have recommended) this book to all my friends, so they can stop wasting their money on eye creams that promise to change their genetic make-up, but also to anyone interested in experimental psychology. For anyone who grew up with any kind of media in their house – newspapers, a TV, a computer, etc. – constant advertisements of “medical supplements,” “age-reducing creams,” “toxin-cleansing foot baths,” and other dodgy-sounding products and services were a norm. I remember how in 6th grade our English teacher forced us to participate in “Brain Gym”, because she read somewhere on the internet that “Neuroscience says” that it helps stimulate the brain and makes it “work better.” Of course, I believed in everything I heard because I was an extremely gullible child – but the truth is that many adults don’t stop to think about how legitimate “scientifically-approved” as-seen-on-TV products and services actually are. Ben Goldacre’s Bad Science runs its readers through a comprehensive list of how every single one of those is a scam. Full of biting sarcasm and humorous comments, Goldacre’s book takes us on an eye-opening journey of how the media and celebrities influence our common sense and make us believe in information that just cannot be true. 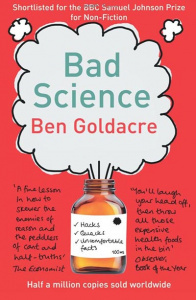 By using casual language and witty British humour, Goldacre manages to convey quite intense science talk in a concise and interesting way, helping the reader not only understand what not to believe, but also why the alleged science behind the given product is flawed. 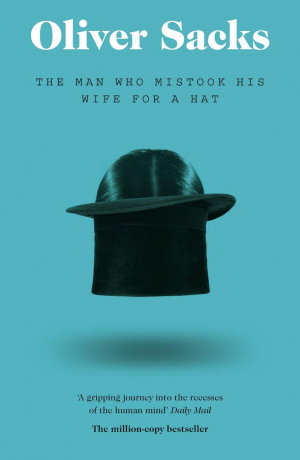 The book is divided into several chapters, each targeting a different hoax – and with only up to 30 pages per chapter, even people who have difficulties focusing for long (like myself) can finish a story and then take a break. I picked up Bad Science before coming to Oxford, as it was on my summer reading list and I thought it made a nice change from all the other more academic texts. Despite using casual English, it actually teaches its reader a lot about the human body – and why the advertised items cannot physically act in the way they claim. 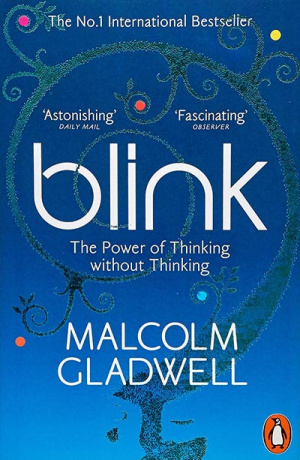 It’s a great book to read for fun, and I’d recommend it to anyone regardless of potential direction of studies – even if you’re not really into science, it’s still interesting to see how we’re being manipulated and what not to believe in the future!